Sainsbury's head of marketing strategy Sarah Ellis has praised agencies' ability to create diverse teams . 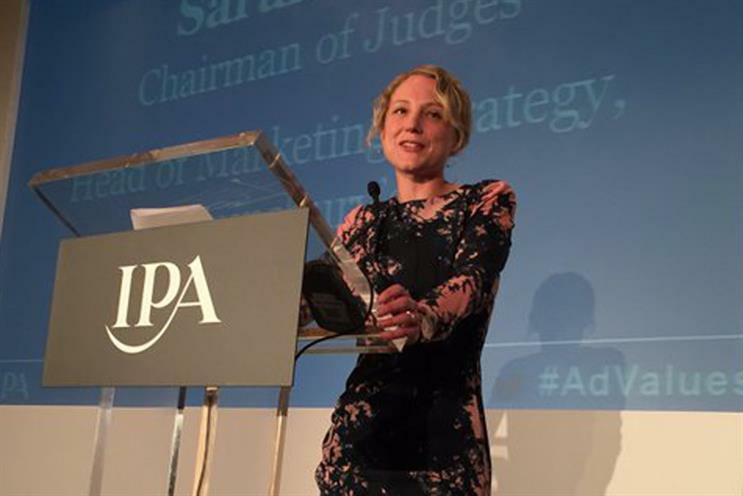 Speaking at the IPA’s annual members’ lunch in her capacity as chairman of the IPA’s CPD awards judging, the senior marketer turned to what she called the "hot topic" of diversity. She told the audience: "What makes agencies so interesting is that you guys are predicated on your ability to bring together so many different people with different skill sets.to colloborate really effectively to produce brilliant work." She said that this "diversity of thinking" was "really evident" in all of the submissions she had judged. Quoting US leadership author Stephen Covey, Ellis said: "Strengths lie in differences not in similarities." "Diversity is a hot topic in the industry at the moment and rightly so as we know diverse organisations drive more innovation, better leadership and ultimately, business growth. So there’s a real business imperative for why this matters. "We all know the business case for diversity but actually doing something about it is quite tough. So yes it’s great to understand the issue but it’s doing something that will really make the difference," Ellis said. She ended her speech by urging the industry to foster a culture of continuous improvement. "There’s no ‘we’re done moment’. We all need to see ourselves and our organisations as in a constant state of work in progress. Keep exploring and establishing new expectations of excellence," she concluded.